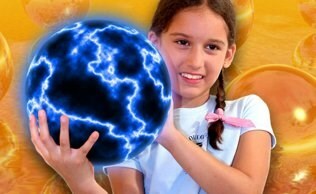 Since 1994 Mad Science of Toronto has presented educational, entertaining and hands-on science activities for elementary age children throughout the GTA. Our unique brand of exciting, interactive activities instills a clearer understanding of how science affects the world around all of us. Through Mad Science, your students will be able to touch, see, hear, smell, and taste what science is really all about. Schoolhouse Chess is devoted to helping kids develop learning and thinking skills by teaching them chess. However, Schoolhouse Chess understands the importance of making learning fun! We teach chess with fun characters and stories that are woven into a logical, step-by-step curriculum that begins with the basic rules and extends through advanced strategies and tactics. What is Brixology: Building with LEGO®? This is our newest category of extra-curricular programming! Brixology is our inaugural LEGO®-based program, professionally designed and approved by LEGO® Certified Professional. Brixology allows kids to step into the shoes of an engineer! Children will build a different LEGO® project in each class of the 8-week program. Engineering fields including mechanical, structural, aerospace, nautical, and bioengineering will be explored, encouraging children to use critical thinking, cooperation, and creative problem-solving. Weekly take home toys reinforce each concept and encourage extended learning. Are these stand-alone extra-curricular programs? Mad Science takes all the hassle and frustration out of running an extra-curricular program. We run our science and chess programs separate of any other programs at your school. What is our time commitment to your program? Setting up a Mad Science program will require a time investment of only 1 - 2 hours. Your commitment typically occurs before the registration period as schools work with our Program Specialists to finalize the program details and coordinate classroom space. How long are your programs (weeks and hours)? Our standard program is 8 weeks, 1 hour per week and held during your lunch period, or after school. Mad Science is able to accommodate requests for 6 to 10 week programs. See “What are Your Suggested Program Start Dates?” below for how your school can offer after-school science enrichment throughout the school year. What are your suggested program start dates? We schedule our classes over three semesters. With the ease of implementation, the popularity and variety of our instruction, and the no obligation nature of our programs, most schools elect to offer Mad Science multiple times throughout the school year. The Fall semester begins the week of October 13 2015, Winter the week of January 18 2016, Spring the week of April 11 2016. What if our schedule does not correspond with the dates above? Due to the number of schools we work with, the number of concurrent programs we run, and the amount of equipment scheduling necessary to support these programs, Mad Science has a small window of time to start our programs. The cost for an 8-week session is $115 + HST per student. This is an all-inclusive, one-time fee for the participants. Mad Science provides all equipment and materials. Mad Science, Schoolhouse Chess, and Brick Builders offer instruction in an age and grade appropriate manner, using a variety of teaching methods and environments, to ensure each participant benefits from the instruction. Science programs are available for students in JK through grade 6. Schoolhouse Chess is designed for students in grades 1 to 6, as is Brick Builders Academy. Should registration allow we will divide school-age classes into Grades 1 – 3 and Grades 4 – 6. Larger enrollment may allow even greater segregation by grade level. Do you have a minimum class size? A maximum class size? Our classes require a minimum enrollment of 12 paid students. To ensure the hands-on, interactive nature of our instruction, class size will be capped at 20 (16 for chess). Registrations for numbers 21 through 24 will go on a wait list. With the 24th registration, Mad Science may create 2 classes of 12. The ability to offer additional classes may be subject to instructor availability. Predicting enrollment is crucial to the proper planning necessary to ensure all your interested students can participate. Mad Science may elect to offer a program even if the class minimum is not met. This decision is at the sole discretion of Mad Science. How can we predict enrollment? A good rule of thumb is to assume 10% of your student body will be interested in the Mad Science extra-curricular program. Response may be affected by many factors including day of week, season of year and transportation needs. However, it is best to plan for a 10% response and reserve the necessary rooms in order to accommodate as many students as possible. Because there is no financial obligation to your organization, final enrollment that does not utilize all the reserved rooms will not result in a penalty of any kind. When should we schedule our class(es)? Mad Science has the flexibility in scheduling and instructor availability to conduct classes on any day of the week and on multiple days during the week at one location. Availability on some days may be limited so it is best to confirm your dates with Mad Science as early as possible. After school classes should start within 15 minutes from the dismissal of school. During lunch hour classes children will be given 15 minutes to eat their lunch as we take attendance, and introduce them to the topic of the day. We have more than ten 8-week programs to offer your school. Please note that not all programs will be offered in every semester. A Extra-Curricular Club Specialist will be able to advise what programs are offered during the semester you are considering and what program would best suit your needs. 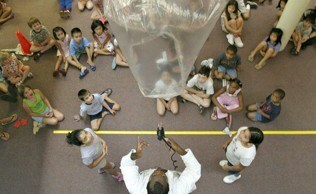 A complete listing of all programs is available by visiting our website www.toronto.madscience.org. Three levels of progressive Schoolhouse Chess curriculum are available all year. Can Science , Chess, and Building programs be offered at the same time? Yes! Mad Science, Schoolhouse Chess, and Building with LEGO programs can be offered in the same semester, on different days of the week. What does Mad Science need from your organization? We require a room large enough for the students to sit comfortably, and for the instructor to move freely between them. The instructor will also need a small table for the equipment, access to electricity, nearby water and the ability to darken the room. Room volunteers are not necessary with our programs. 1) Mad Science will prepare and deliver registration flyers to be handed out to your students. Parents will be directed to visit the Mad Science website where they will register their children online. They will be asked not to return forms to the school. Once the deadline has passed, Mad Science will inform your school of the final number of participants and provide complete class rosters. 2) You may choose to handle the registration yourself. Once your program has begun, Mad Science will invoice your school. Should you process your own registration, participant information and class rosters must be provided to Mad Science in advance of the program start date. From parents: Payment is required at the time of registration. Credit card payments will be accepted online. Where a credit card is not available, parents may call the Mad Science office to make alternate arrangements. Mad Science reserves the right to close registration once our maximum enrollment has been reached. From your organization: Should you elect to process registration and payments, Mad Science will invoice you for the number of participants during the second week of class. Payment of this invoice is expected within one week of receipt. A refund will be made to any parent who withdraws a child prior to the second week of the program. A $25.00 processing fee will be applied to all refund requests. Withdrawal after the second week is not subject to a refund. Refunds will not be issued for classes missed by the child. The Mad Science guarantee is simple – your organization, your students and parents will be satisfied with the Mad Science experience or we will do what it takes to make it right. We recruit university students, mature individuals, and future teachers who have experience in classrooms or with groups of elementary aged children. Every Mad Science instructor must pass a criminal background check and be certified through our training process. What are the expectations of the students? The parents? Mad Science strives at all times to provide fun and safe science activities for all children participating in our classes. To fulfill this commitment, we ask that all children enrolled adhere to basic behavioral guidelines. Our instructors set clear boundaries and expectations as to appropriate conduct and we will hold all students to these expectations. In addition, Mad Science will follow all school rules and policies regarding student behavioral expectations. We ask for your cooperation should any parent be notified of discipline problems. It is our intention to provide children with, not deprive them of our program. It is only when a child interrupts this positive learning environment that we would take any such action. Mad Science also has expectations of the parents whose children are enrolled. Only children with a sincere interest in our programs and the necessary maturity to handle an extension of the school day should be allowed to enroll. An approved guardian must pick up each child at the classroom promptly at the dismissal of class. What is your inclement weather/class cancellation policy? Mad Science will follow the inclement weather and school closure policy of the school district in which we are instructing. Each program should have a minimum of one week before the start of the next program to accommodate a possible make-up day. Mad Science will attempt to reschedule weather-related class cancellations or other events beyond our control or planning.